Samit Sarkar of Polygon reported last week that Ueda has told fans to “keep an eye out” for details about the release of The Last Guardian. At this point, I feel like I’ll believe it when I see it. Ico and Shadow of the Colossus were both amazing, and originally I was extremely excited about The Last Guardian. In fact, when I finally purchased my PS3, one of my reasons was that I’d need one for The Last Guardian anyways. It’s been at least four years now since we started hearing about The Last Guardian. Ueda left Sony in 2011 but claimed to be still committed. I wonder about that as well. He just reiterated that he’s the creative supervisor. How involved he is with the project is anyone’s guess, but when it is released, I’d love to see pre-release footage of the game up to the point Ueda left Sony. I won’t be surprised if the game never comes out, but it sounds like it’s still coming. With the PS4 so close, the game could be cancelled if the PS4 is released long before the game is ready for the PS3. Come on, Team Ico. I want Trico already! BulkyPix quoted my review on the official PinWar site. Cool, I suppose. PinWar is a competitive pinball game in which, rather than taking turns, two players (or a player and AI) control opposite sides of a table. Flippers exist at both ends, enabling each player to defend their drain and try to make the opponent let the ball through. 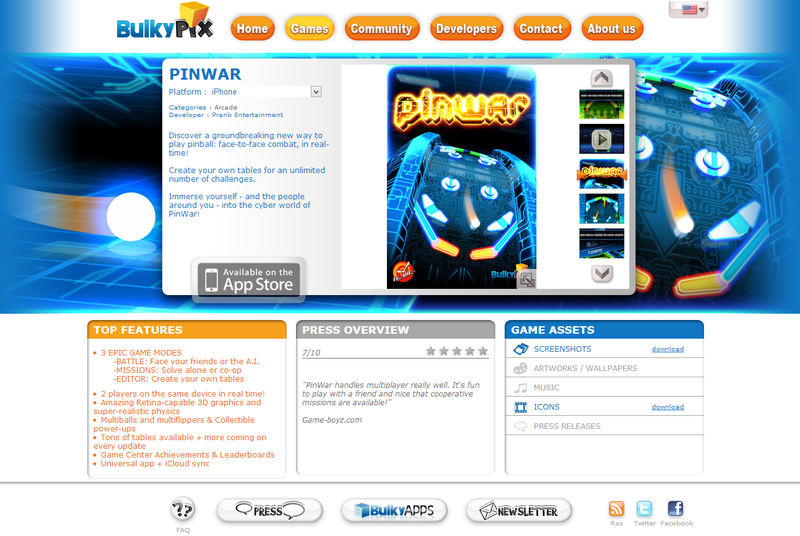 BulkyPix seems to be marketing it as an evolution of pinball with two pinball games tables put together. You could also see it as an evolution of pong or breakout with flippers replacing paddles and new features added to the table. Regardless, PinWar uses many familiar mechanics in new ways… I’m a big fan of iterating on classic games, and PinWar does this well. 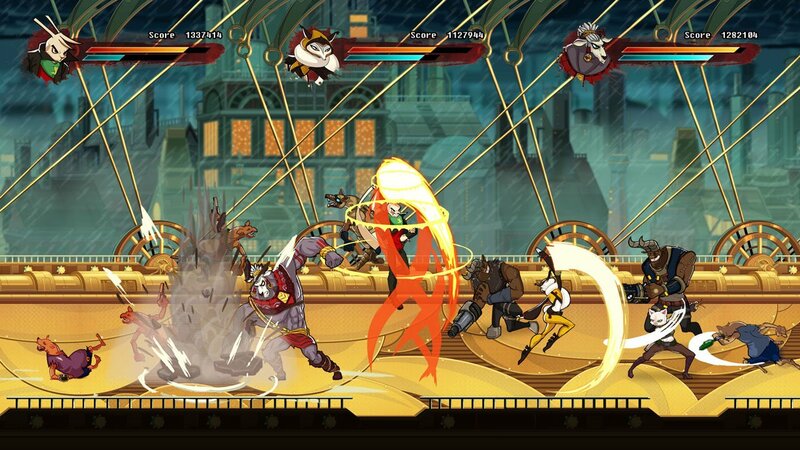 While it borrows from many different games, it combines them in a unique way. I gave the game a 7/10 on Game Boyz! via PinWar for iOS | Reviews, Action/Horror.